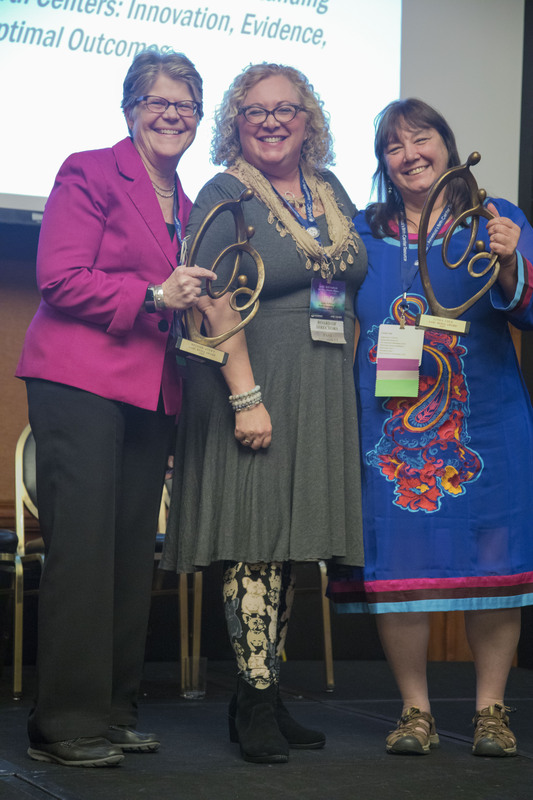 The winners of the 2017 AABC Achievement Awards were announced at the opening ceremony of our annual Birth Institute in Anchorage, Alaska on October 5, 2017. 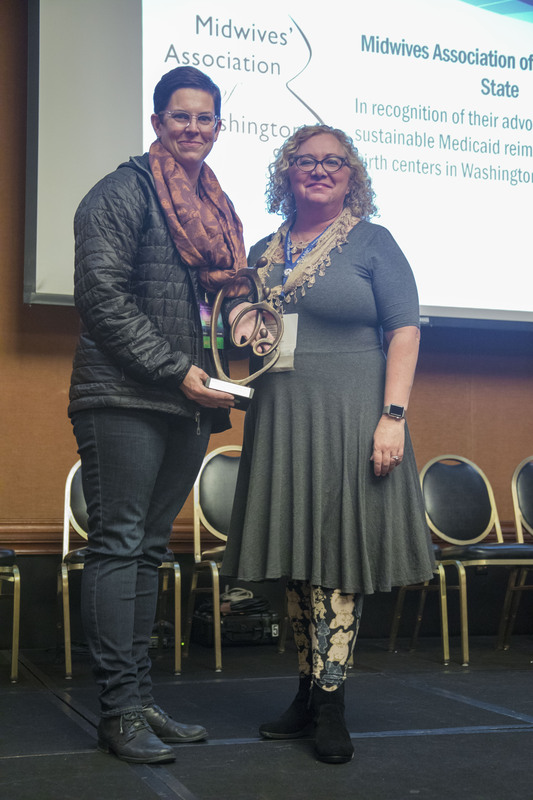 Ali Tromblay presented this award to the Midwives Association of Washington State in recognition of their advocacy for sustainable Medicaid reimbursement of birth centers in Washington State. Louisa Wales, a MAWS board member, accepted the award. Barbara Norton presented this award to Dr. Lisa Johnson and the OB Hospitalist Physicians at Providence Alaska Medical Center in recognition of their support and advocacy for families, midwives, and birth centers. Dr. Johnson's husband, Sean Johnson, accepted on her behalf. 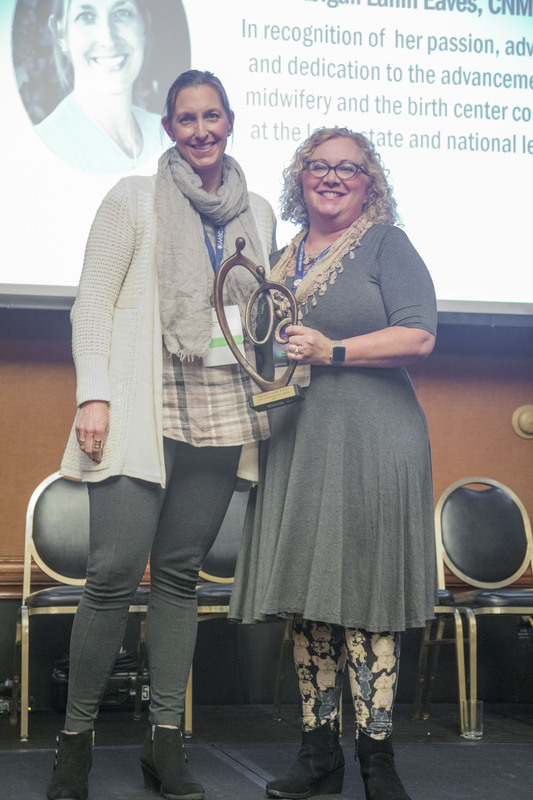 Lesley Rathbun presented this award to Abigail Lanin Eaves in recognition of her passion, advocacy, and dedication to the advancement of midwifery and the birth center concept at the local, state, and national levels. Anjli Hinman presented this award to Megan Brown in recognition of her passion, support, and advocacy for birth center and the midwifery model of care in Atlanta. 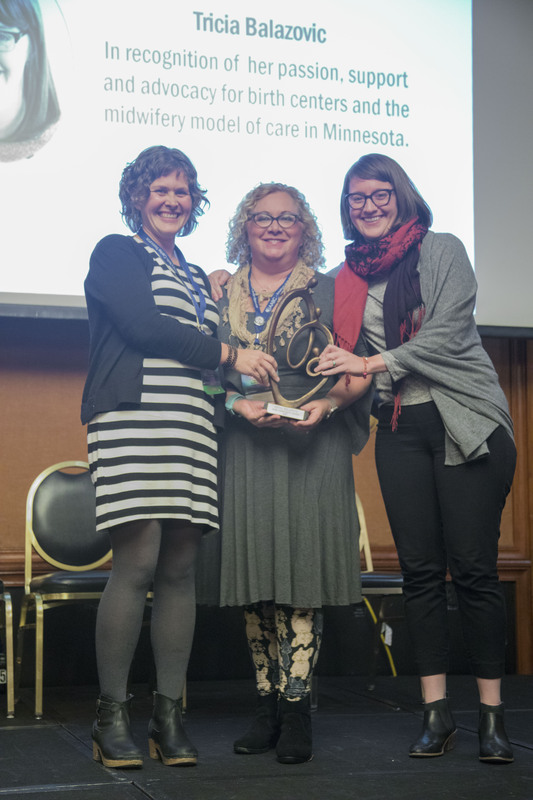 Mary-Signe Kelly presented this award to Tricia Balazovic in recognition of her passion, support, and advocacy for birth centers and the midwifery model of care in Minnesota. 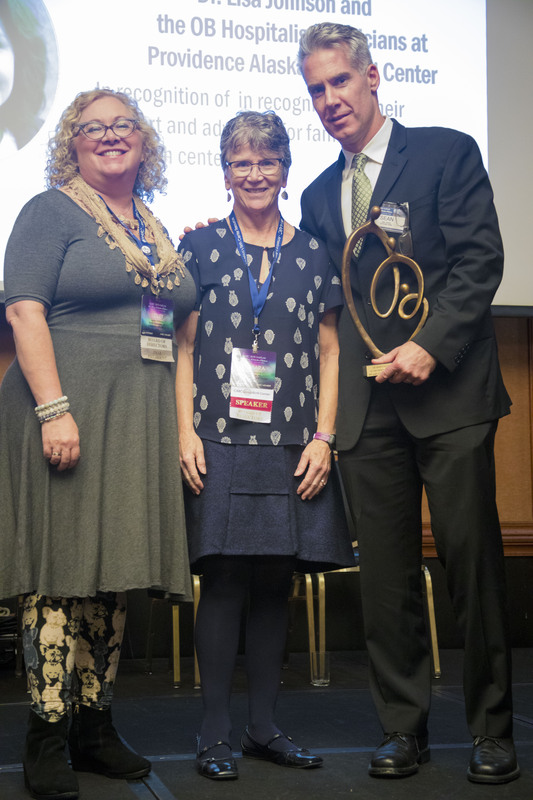 Lesley Rathbun presented this award to Linda Cole and Melissa Avery in recognition of their exceptional book Freestanding Birth Centers: Innovation, Evidence, Optimal Outcomes.